Grape Jelly Meatballs | Cocktail Meatballs in the Instant Pot or Crock Pot! 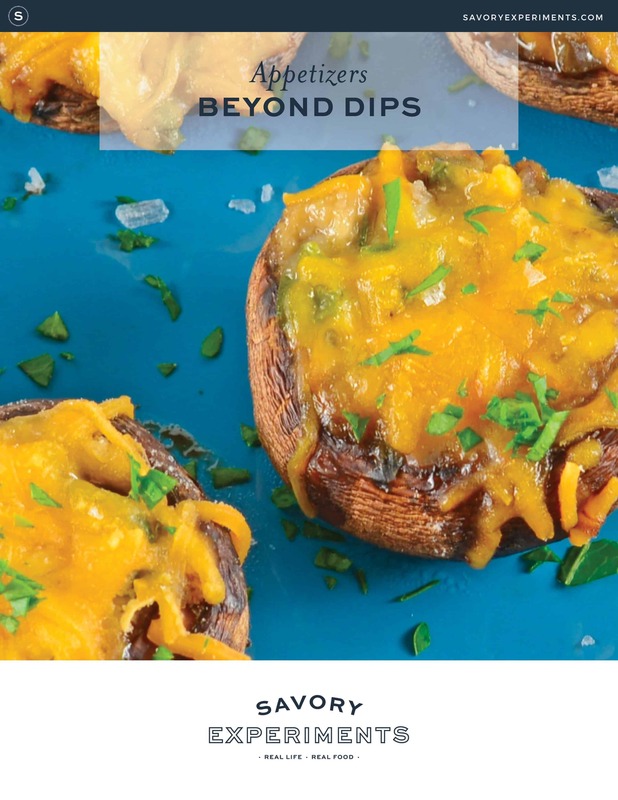 Looking for the ultimate party appetizer? 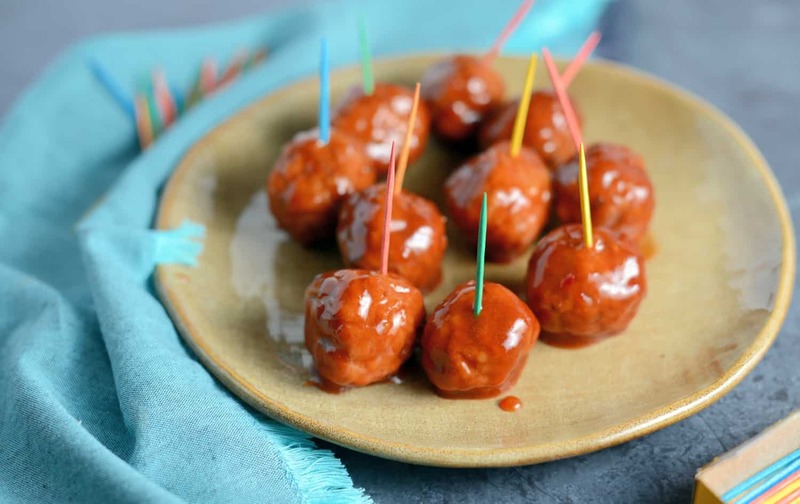 Skip the cheesy dip and opt for super easy Grape Jelly Meatballs, the best cocktail meatballs ever! 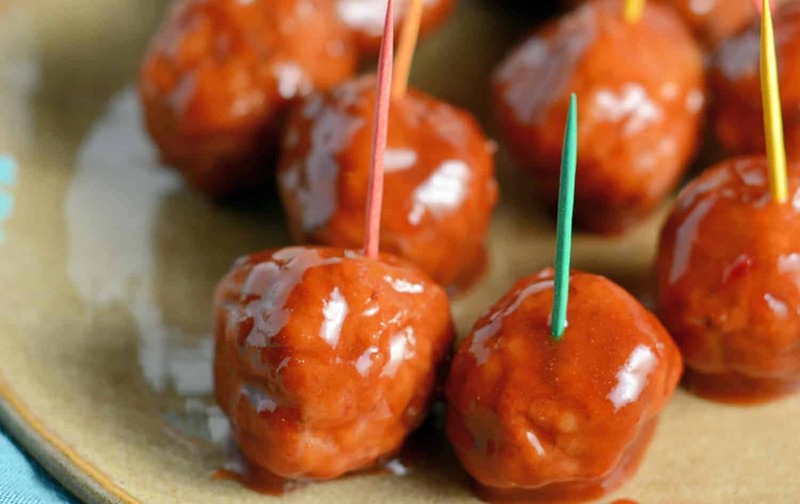 Grape Jelly Meatballs are easy to make with only THREE ingredients! Cocktails Meatballs in the crock pot or instant pot using just 3 ingredients! Grape Jelly Meatballs, or sometimes simply known as jelly meatballs, are one of my favorite childhood recipes. 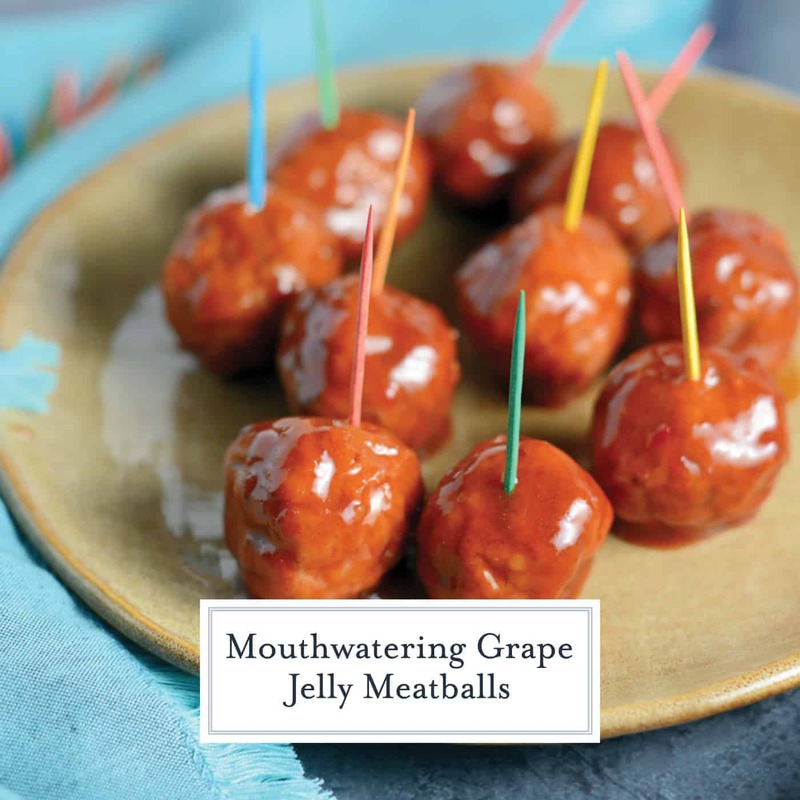 Long before the days of slow cookers or crock pots, grape jelly meatballs were simmered on the stove’s of 1950’s housewives and served as gourmet hors d’oeuvres. Really, anything on a toothpick was considered to be a fancy appetizer! Pigs in a blanket, anyone? As a child, I got so excited when my mom told me she was making cocktail meatballs. The taste was both acidic and sweet and I would do anything in my power to get as many as possible. I watched the stove like a hawk. I was a slightly type A child. Imagine the day I learned how my favorite cocktail meatballs were made. Grape jelly and ketchup? Say what? GROSS! Initial disgust turned into understanding, and after some time my taste buds convinced my logic that the flavors actually paired well together. 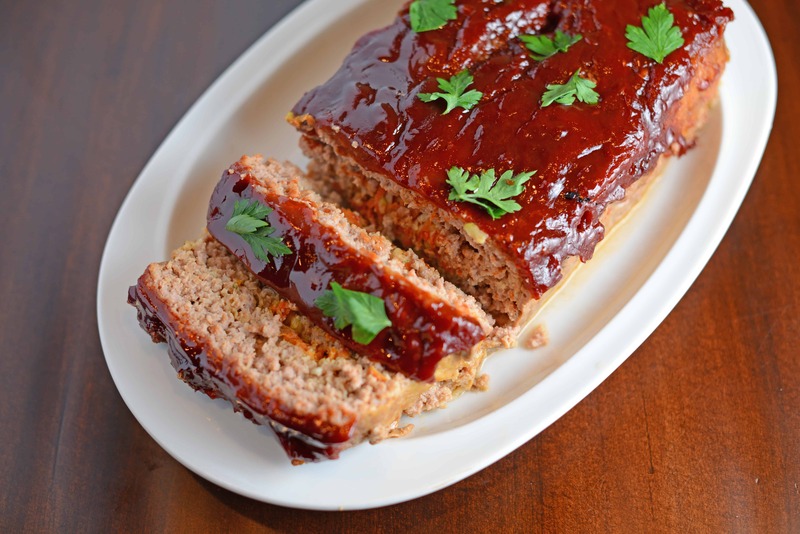 So much so that I actually even top my award winning Stuffed Meatloaf with the sweet and tangy sauce! People can never put their finger on the flavor profile. Wink. Wink. 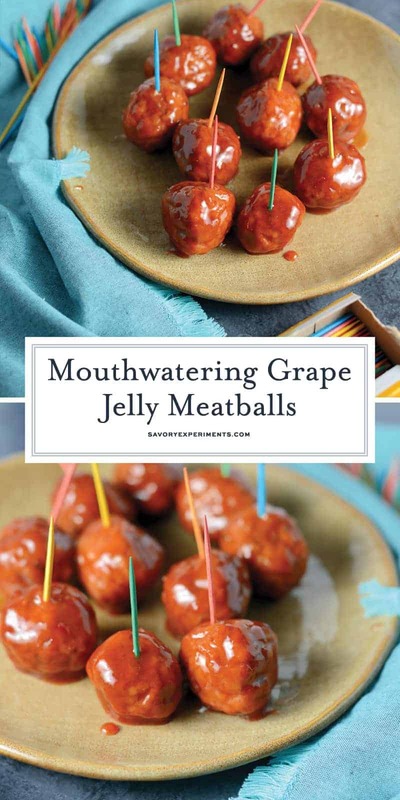 Grape jelly meatballs still reign as the ultimate party food although there are many ways to make them. Some use ketchup (my preference), others BBQ sauce or even a Sweet Chili Sauce. The only ingredient that remains the same is sweet and gelatinous grape jelly. Grape Jelly Meatballs for the WIN! As for the cocktail meatballs, you can make from scratch them however you’d like… or not make them at all. While I can certainly taste the difference, even I break down to save time and buy frozen meatballs sometimes. For this recipe, the sauce is tasty enough to cover up the shortcomings of a frozen ball. However, if you do decide you want to make homemade, use the use recipe from Grandma’s BBQ Meatballs, only make them into a smaller 1-inch ball and check out my 8 Meatball Tips before starting. 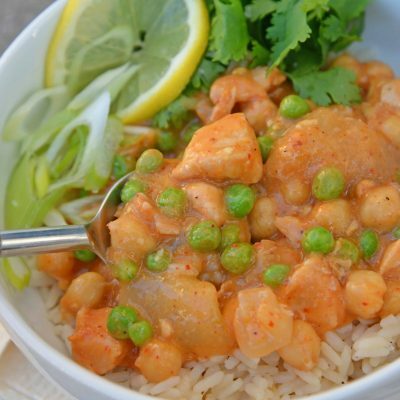 You can also use turkey, chicken or even tofu meatballs! Now days the slow cooker isn’t the only way to go for meatball recipes with grape jelly. Nope, now you can make cocktail meatballs in the Instant Pot, too! Here are my quick Grape Jelly Instant Pot meatballs instructions, also available in the notes section of the actual recipe if you feel inclined to print it out or pin it. Use the same ingredients, drop everything (including frozen meatballs) into the inner pot of the Instant Pot and set for manual pressure, high or 7 minutes. Use quick release function, stir well and serve! If you liked making cocktail meatballs in the Instant Pot, check out my Instant Pot Cranberry Meatballs! 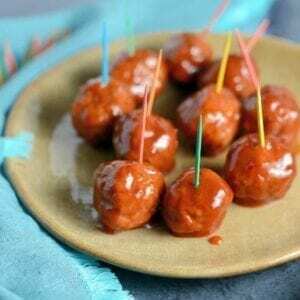 Grape Jelly Meatballs are easy to make with only THREE ingredients! 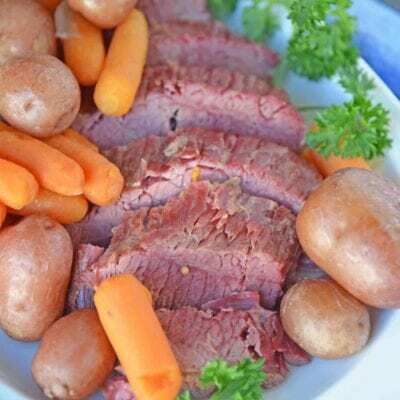 Perfect for throwing into the crockpot as a party appetizer! 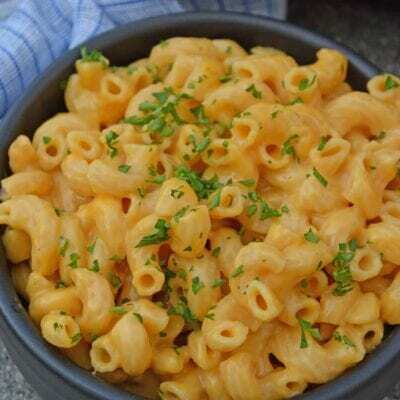 Place all three ingredients in a crockpot or large sauce pan. Cook over low heat for 1 hour, stirring occasionally to mix the sauces. Continue to heat until hot the whole way through. To serve Grape Jelly Meatballs as an entree, serve over mashed potatoes! How much longer do you think I need if I use frozen uncooked/homemade meatballs? Hi Kelly, I’m a little jealous you are making this recipe with homemade meatballs! LOL. I would say to add an extra hour for raw frozen meatballs, but this is vary depending on the size of your meatballs and your slow cooker. Even though they all have a high and low setting, these temperatures vary also. Add an hour and check them. Enjoy! These are the BEST meatballs!!! I can’t wait to make them again for our Super Bowl party! Those do look quite tempting. Wishing I could grab one of those toothpicks. 😉 Super cool to whip them up with only three ingredients. Crowd pleaser for sure! I have never heard of jelly with meatballs. This would make great game day food though! I’ve never heard of this fantastic appetizer. 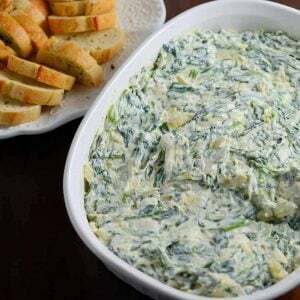 Seems to be so easy to prepare and yet very attractive on any party buffet. These look so delicious! 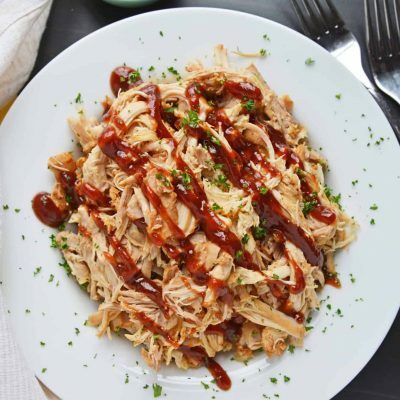 Love that you can do it in the Instant Pot, and the grape jelly addition sounds yummy. I have eaten these most of my life! To make, I have always used Heinz Chile Sauce with the grape jelly! I’ve seen them made that way too. Always SO good and SO simple! Thanks for taking the time to write us a note!